Attitude-Of-Gratitude is in two parts. Both attitude and gratitude have corresponding elements that support personal performance coaching and business success. Attitude does have several definitions, today I am discussing the one that can be expressed as an individuals action based upon what they think, like, dislike and are convicted by. Gratitude has its root in Latin, the word ‘gratia’ related to the terms of gratefulness, grace and graciousness. Couple the two words together and you have an Attitude of Gratitude. An amazing part of Life and Business by Design. I believe all thoughts, all actions are connected, so personal performance beginnings with self and expressing genuine heartfelt appreciation of the good and all that we do have, which in turn does wonders for the moral, it lifts the mood, aligns your thought processes, empowers the inner core and amazingly boosts your immune system with endorphins known as the natural happy drug giving a sense of euphoria. Yet sometimes we can focus on what we lack, allowing our negative emotions to get the better of us. It’s so easy to compare ourselves with other peoples’ lifestyles appearing to have more. On this type of level an Attitude-Of-Gratitude is classed as a powerful universal law, that when used correctly gets results. By confirming an appreciation for what you have and the attributes and blessings you have received in your life, the law works its fascination. In other words, this simply means whatever you think about, you impress on your subconscious mind so your conscious mind will turn it into a reality. Your energy, your vibrations will fall into sync with the lure of your thoughts. It’s so easy when you know how and here are three tips that could explode your thinking, increase your wealth and give you the grace to keep on. 1. Each day purposefully look for things in your life that you are grateful for. Make an effort to be ‘in gratitude’ and harmony with your inner core, this way you’ll raise your vibration and expound your world. 2. I’m sure within your personal development journey and business you have been encouraged by your mentors to write your goals and the route you’ve chosen towards achievement either electronically or in paper format, either way - write, explore your mind and write your thoughts down to deepen your attitude of gratitude. So, now is the time to keep a rather special Law of Gratitude journal. Begin simply, perhaps with "I am grateful for today and all of my experiences", or "I am grateful for my family, my friends and the opportunity to work". Explore and be grateful. 3. Finally, keep an Attitude-of-Gratitude Stone in your pocket, handbag as a constant anchor and reminder of the wealth, health, joy and happiness you do have. Whenever you see or touch your stone you’ll remember, and your attitude will reflect how you feel - you’ll be greatful. 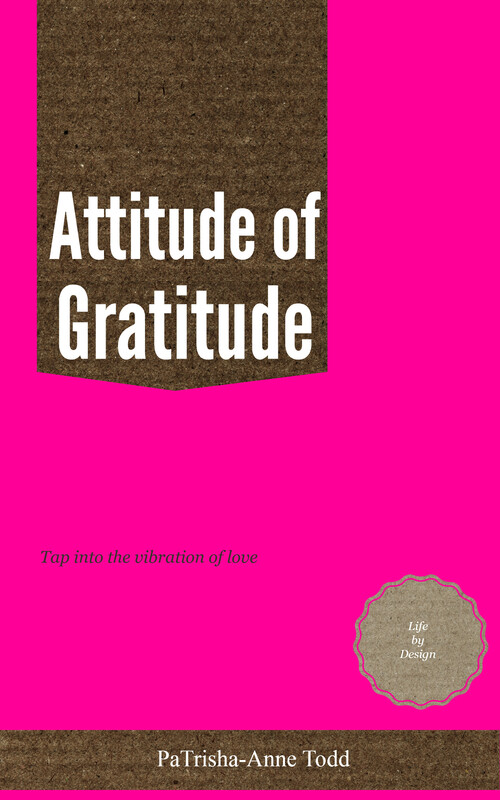 Each of these three actions will lift your spirits and create a sense of positive emotion that will aid you to take good action towards the goals you hold in your heart, you will feel the value of an Attitude-of-Gratitude.